Stop by Island Mazda near the Staten Island, NY area if you’re looking for a luxury fast car like the 2018 Mazda3 Grand Touring. Exhilaration has always run in the Mazda3 family. And the 2018 Mazda3 continues this legacy. The Mazda3’s already excellent performance and handling amplify the exhilaration with a precisely tuned 4-wheel independent suspension system. Plus, it comes with your choice of manual or automatic transmissions powered by spirited 2.0-liter or 2.5-liter SKYACTIV®-G gasoline engines, with the 2.5-liter offering 184 horsepower and 185 lb-ft of torque. Mazda’s newest technology, SKYACTIV-VEHICLE DYNAMICS with G-Vectoring Control, helps you steer more precisely by optimizing load control. Just like an athlete refines his form to hit the ball further with less force, Mazda’s technology strives for the same efficiency. Instead of strengthening the vehicle’s muscles, they improved how it delivers force so it can unleash its full potential. It works smarter, not harder, to make you feel connected and in control. Every detail of the interior was designed to make driving better. From the instrument panel to the gear selector, everything was placed with intention and care to make your every move more intuitive. Why? To let you focus on what matters most: driving. The Mazda3’s sport seats are contoured to mold perfectly to the body, giving you and your passengers a more comfortable and connected ride, no matter how long the commute. The high-end sports seats—available in cloth, leatherette or dual-stitched leather—are as carefully crafted as they are beautiful. 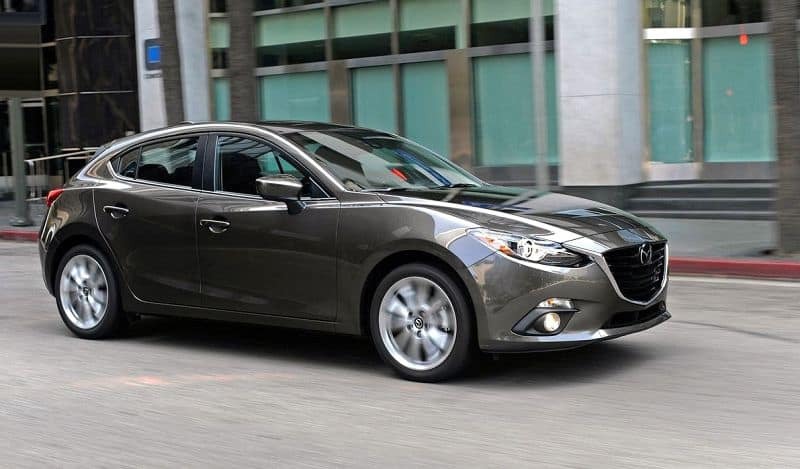 The Mazda3 4-Door is designed from the wheels up. The sleek and stylish available 18-inch alloys are sure to turn heads as quickly as they turn corners. Even at a standstill, the dynamic design in the Mazda3’s wheel spokes gives them the look of speed in motion. And beyond their athletic, high-end appearance, they’re specially designed to suppress road noise and heighten handling stability. The exterior of the 2018 Mazda3 4-Door is the true epitome of KODO design. Its sleek, sporty contours tell you everything about how it drives—without ever getting behind the wheel. And available features like 18” alloys, LED headlights and rear decklid spoiler elevate the 2018 Mazda3 4-Door’s styling to another level. Contact Island Mazda today to start your 2018 Mazda3 Grand Touring experience near the Staten Island, NY area.